We used a canvas apron and some of our very favorite--Gold Glitter iron-on found here. From the gold, we cut the word "Glitter" using the Fontastic Fonts DJ Smitten font, some 1.5" circles and some 1.93" circles. Black iron-on can be found here. From the black we cut the words "all the things" using the PS font, as well as the 1.5" and 1.93" circles. Remember to click the "Mirror Image" box when using iron-on. As a finishing touch, we added a strip of faux fur trim to the pocket section. 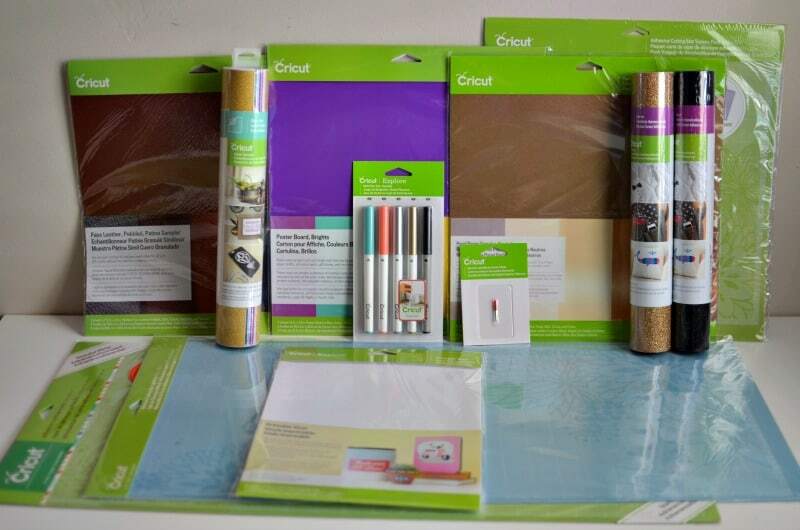 We loved the way it turned out so much that this is our next "Girls Craft Night Out"! On our second project, we used a Cricut product that we had never used before. FAUX LEATHER!! You read right, Faux Leather (you can find it here). We love the look and feel of this material. The best part, our Cricut Explore Air cut through it like a champ! Not only did we use the faux leather (for our hedgies blue spikes, brown eye and the words), but we also used the Gold Glitter vinyl found here for his base and the Pearl Paper sampler found here for his face which adds a fun shine! 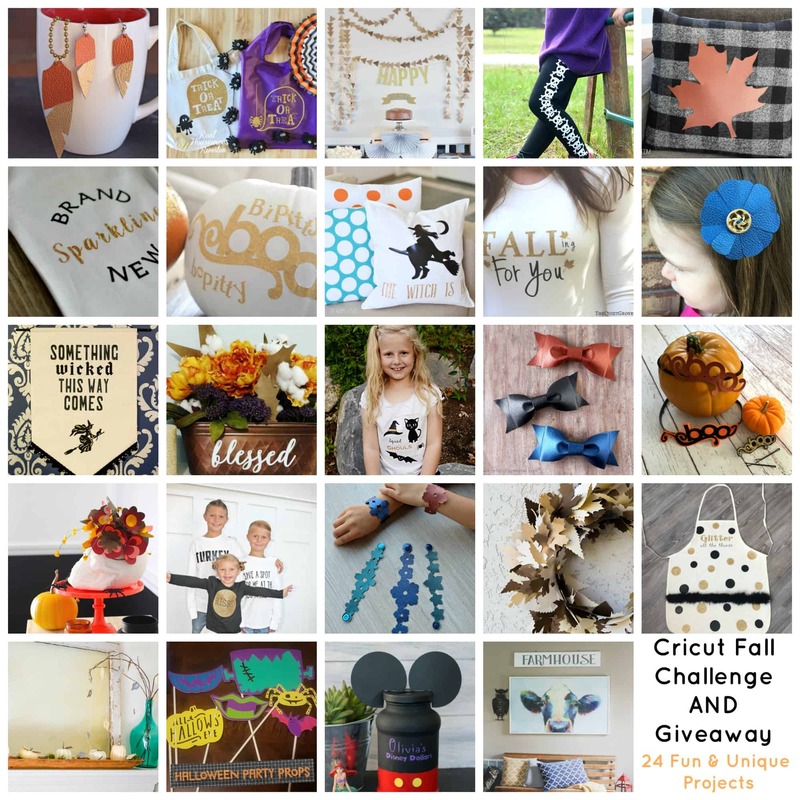 We are excited to join 22 other super talented bloggers for the Fall Cricut Challenge. Check out what these talented ladies created below and enter to win a HUGE box of supplies from Cricut! Love all of these! It was fun doing the Fall Challenge with you! This is so cute! I'll have to make one. These are so fun! I want to make that apron! This is so fun, I know a few people who would love this apron! Thanks for sharing.